As part of our topic we baked bread. It was great fun and tasted lovely! 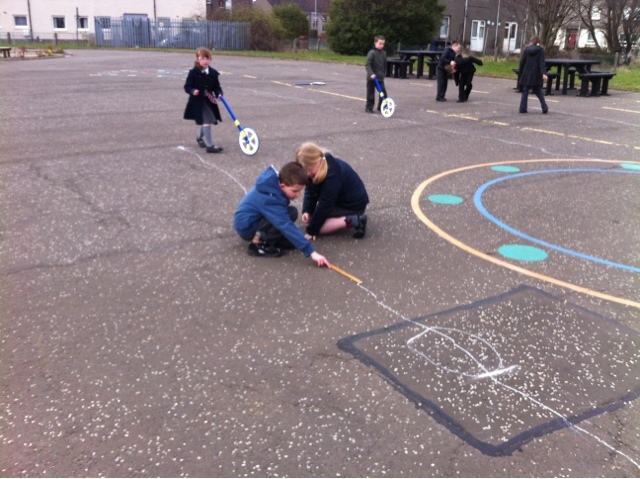 As part of our Numeracy Across the Curriculum we designed symmetrical viking shields with a partner. We then painted them to become part of our wall display for the open evening. We have worked hard this term on our topic and getting prepared for our open evening. 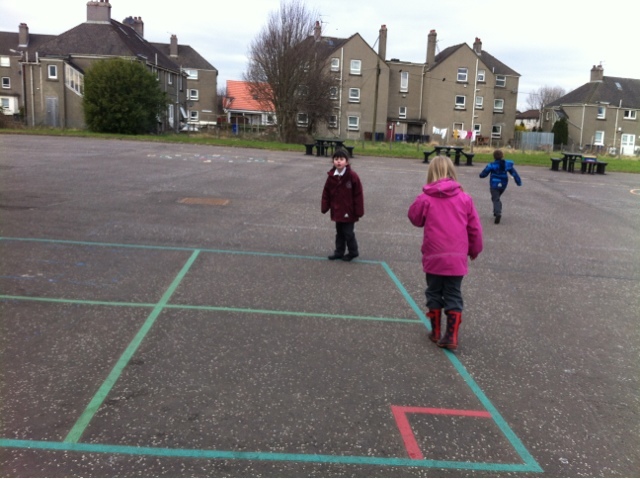 We made games for our open evening so our family and friends can be involved in our topic too. 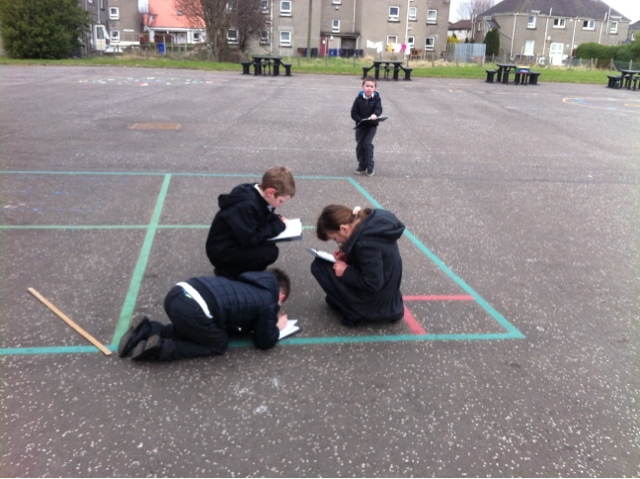 We went on our class trip to the National Museum of Scotland. 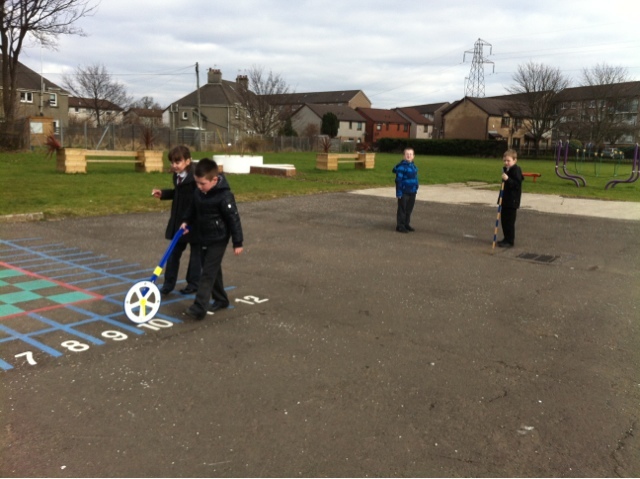 We had great fun at the viking school. 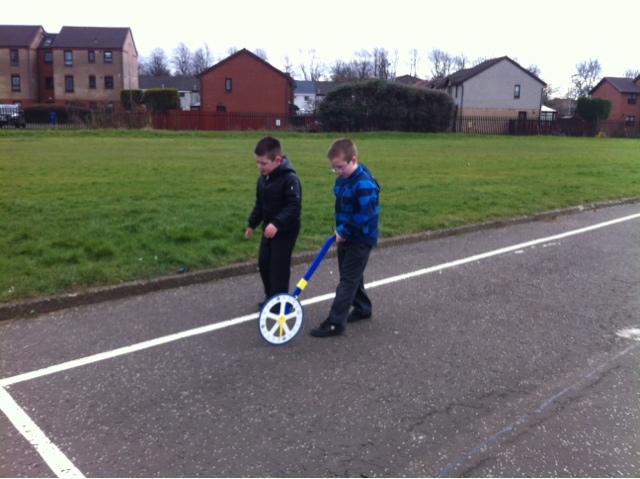 We also really enjoyed the handling session, where we got to look at lots of different things such as household items. 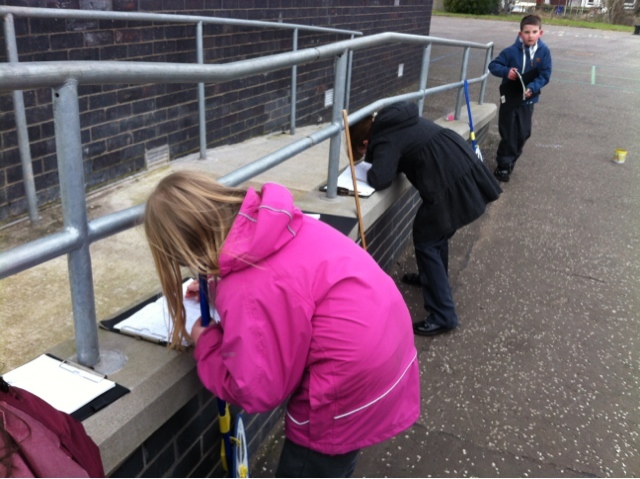 We have taken our learning outdoors, to investigate and find out more about length. 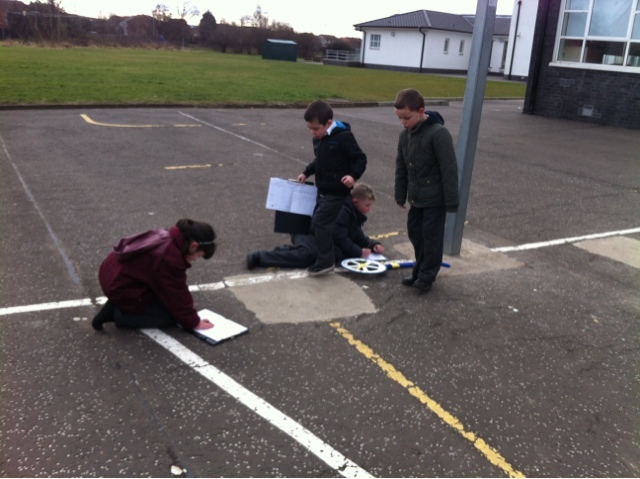 We worked in our groups to measure out the length of various Viking longships. 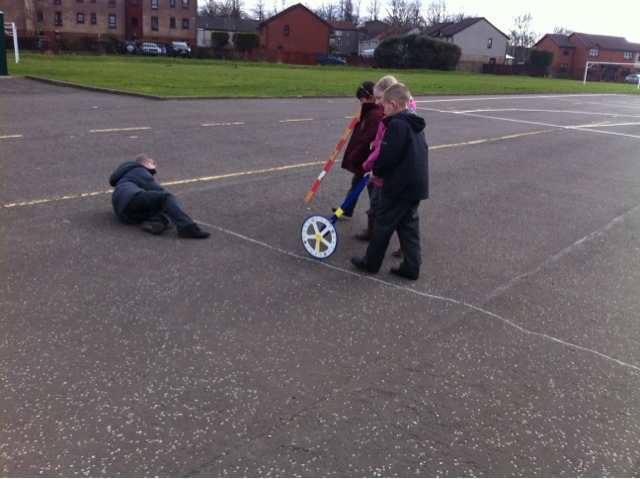 We used metre sticks and trundle wheels to help us. 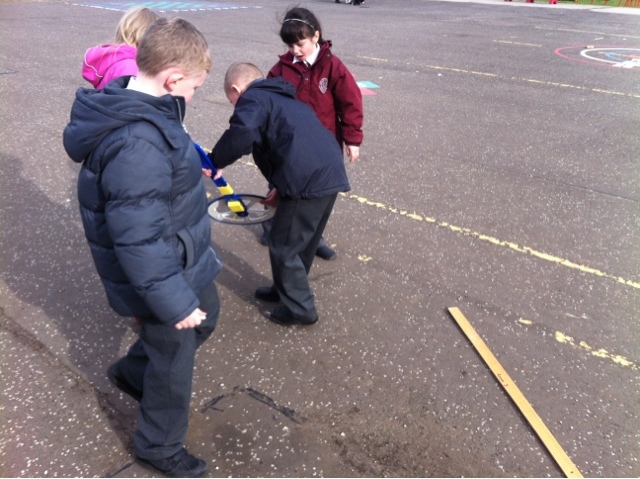 We also measured how many footsteps it would be to let us see jus exactly how big the ships were! 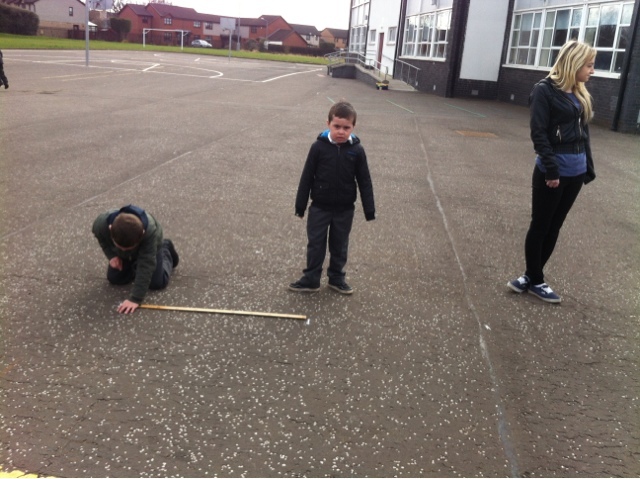 We had great fun and we also learned lots bout measuring in metres and half metres.